We&apos;ve crafted a premium cola that won&apos;t disappoint. 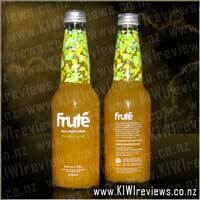 We blend New Zealand dark malt, squeezed limes and lemons to create a true classic dry cola that everyone will love. Adding a touch of natural sweetener means less sugar and being caffeine free, adults and kids will love this refreshing and dry thirst quencher. I will admit, I am addicted to cola. Inparticular a certain brand. So in my search to find a &apos;healthier&apos; alternative if you can I was interested in trying this Barker&apos;s of Geraldine Dry Cola. On looking into the Dry Cola a bit more when I received the bottle I was pleasantly surprised and interested to try this product. The bottle listed caffeine free which is a huge thing for me so that was a huge bonus. I also liked there was no artificial sweetener and low calorie. I like how this cola is in a glass bottle which reduces my plastic use. I decided to try this cola with soda water. I do like a few bubbles. I followed the instructions 1:6 and then had a try. Not sure I got the mix right as it didn&apos;t seem to have much flavour. I decided to put another small splash in. This picked up the flavour to a taste that I enjoyed. I liked the Barker&apos;s cola as it didn&apos;t have that really strong caffeine flavour which a lot of colas are. Next I decided to try with soda stream. This was just as good. I let the kids have a try. One was not too keen on the taste but would give up her drink. The other downed it so fast then saying that was so good, is there more. Baker&apos;s dry cola has been a hit in my house. It is great that you can make it to a strength that fits your taste buds and that it is not full of caffeine. Since receiving this I have found it in our local supermarket and was impressed with the variety of flavours. At $5.80 a bottle I think this is reasonable as you don&apos;t use a lot at a time. If I can break my bad habit with that other brand this is definitely a cola I would have on hand for a treat. 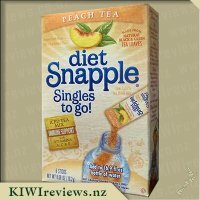 I have been trying to find a drink that is refreshing and not too heavy in sugar. Summer is coming up and I know that I&apos;m going to be drinking quite a lot and water doesn&apos;t quench a large thirst. I read the instructions and I made some up and took a big drink to find that it tasted a lot like water so I couldn&apos;t complain about it being too sweet. I asked my kids for their thoughts and one out of three said it was horrible but the other two said it was nice. 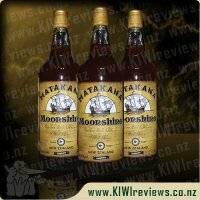 I&apos;m not sure if I had made it correct exact to instructions but I think if I added a bit more then it would be a stronger taste but the bottle definitely wouldn&apos;t last as long making it not very good value for money. I could actually read the information on the bottle which is a first for me since a lot of the time I struggle with the size of the print on the bottles and labels of things but there wasn&apos;t a huge amount of information but all the important stuff is included. I would buy this again as I have tried a few of the other flavours from Barkers and haven&apos;t been disappointed. Being someone who doesn&apos;t drink coffee and not really a fan of tea, I have often been known to take a bottle of fizzy drink with me when catching up with friends, and sometimes I have a bottle in the fridge at home for when I want something other than water. However, I am very conscious of the amount of sugar in many drinks, and will often opt for diet versions - although these aren&apos;t always a very good option either with all the other crap that is in diet drinks. 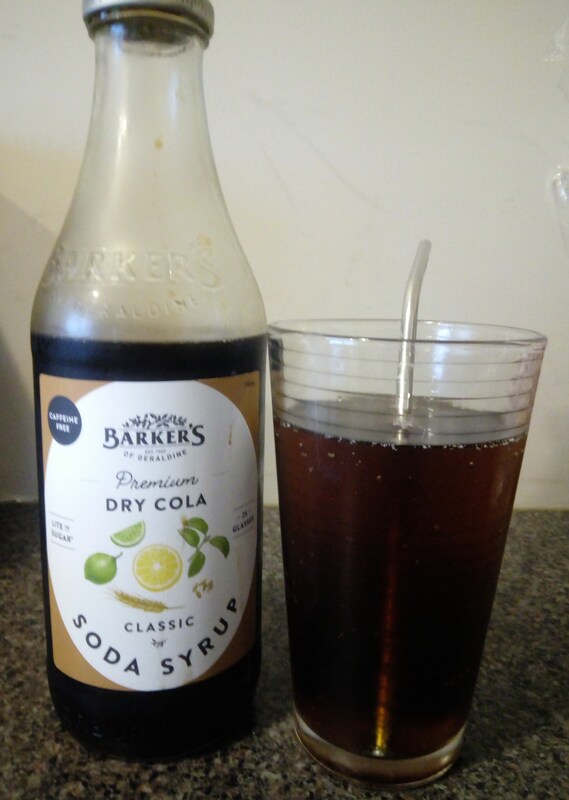 So when I saw this Barker&apos;s dry cola soda syrup that is lite in sugar I was keen to give it a go. While it has some sugar, it doesn&apos;t have as much as other cola products and I&apos;ll always take the better option if there is one - after all, we can&apos;t deny everything in life! I love that the Barker&apos;s syrups come in a sturdy glass bottle, especially fitting for the current times when there is such a focus on how much plastic there is in our lives. The label is simple but effective, and you can see through most of the bottle to know that the product inside looks as it should for what it is supposed to be. Opening the top I was met with a yummy strong cola flavour (strong because it is obviously a syrup that is designed to be watered down). I read the bottle and noticed it said one part syrup to six parts cola. I poured some cola syrup into my glass and then topped it up with some soda water. At first I found it to be quite weak so I added some more syrup until I found a flavour level that I like. It is a very traditional cola flavour, and very very yummy. The bottle does say 25 glasses, however with me mixing it a bit stronger I wouldn&apos;t get 25 200ml serves. However, with the price that this bottle is, and the number of serves I did get I do think it is value for money, especially when you take into consideration it is a product that is better for you. I loved the flavour and wouldn&apos;t change a thing about it. It didn&apos;t have the funny after taste of diet products, but I knew I wasn&apos;t puttin as much sugar into my body as I could. And my favourite part is that it is caffeine free as I try to have very little caffeine if any in my diet. Thank you Barker&apos;s for another amazing product that will be a regular in my shopping trolley! My partner was excited to try this as he a cola lover and we go through a lot of cola flavouring for our soda stream in our house. He poured some syrup in and tasted it, which he said he can&apos;t taste anything in so poured more in, and still the same thing. He said it tasted weak so poured more in and still said the same thing. My son then had a try and said it tasted fine and he really liked it. I also tried it and I said it was fine and I liked it. I showed him the bottle and explained this is a better option then the other cola brands we by and that the less sugar would be good for him. He however likes a stronger taste. 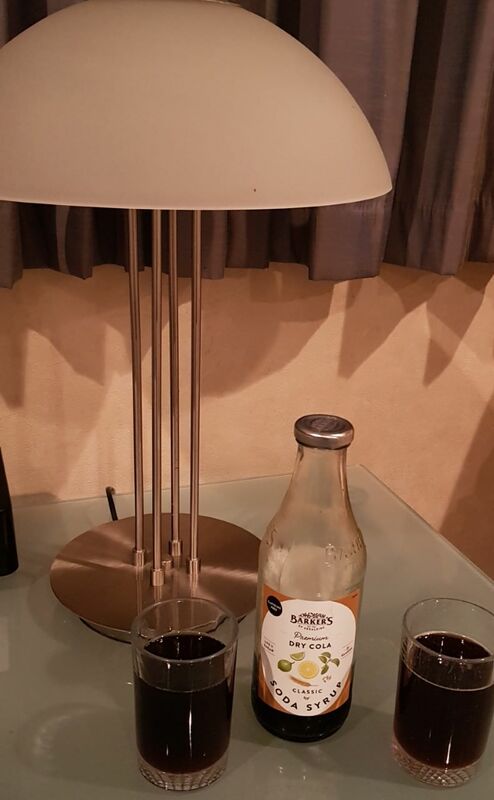 My son and I really enjoyed the product but we did however use a bit from the bottle for one drink so then we would not end up getting much drinks from the one bottle. Overall I like the syrup and I would buy it again for myself and my son but my partner is not sold on the product. I guess it comes down to personal choice and how much of a sweet tooth you have and how strong you like your cola to taste. The labeling of the bottle is great and eye catching and I like the style. I would recommended this to friends and let them know mine and my partners thoughts and leave it to them to try it out for themselves. In my quest to reduce my amount of plastic, I have given my Soda Stream a new lease of life and was excited to try Barkers Dry Cola Syrup. I love Cola and have in the past tried the Soda Stream&apos;s branded syrup, only to be bitterly disappointed. 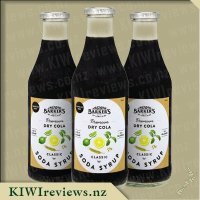 I had previously Barker&apos;s Ginger Beer and Citrus Lemonade Soda Syrups and been impressed with them but Cola is an entirely different ball game! The Syrup comes in a sturdy glass bottle and the syrup is a nice rich brown colour. The label claims it&apos;s &apos;Lite in sugar&apos; and &apos;caffeine free&apos;, making it ideal for the kids too. I had a look at the nutritional label and per 100 ml it has 4.6g carbohydrates compared to 10.6g for regular cola, so under half the amount of sugar which is good. The great thing about a syrup is that you can adjust it to your taste and although I followed the recommendations of 1 part syrup to 6 parts water, I noticed that it did look watery and not as dark as regular cola. I added a little more syrup to get the taste I was happy with. It has no artificial sweeteners which was evident when you tasted it as it didn&apos;t have the bitter aftertaste that some &apos;sugar free&apos; but full of other added rubbish drinks have. My husband tried some and commented how it didn&apos;t coat your teeth and tongue like branded cola did. He was really impressed and kept on saying how good it was and how we had to buy more of it! I have to admit that I was really impressed with the cola flavour and will definitely be buying this again instead of a more popular brand of cola. Even when I added more syrup to the glass, it still works out a lot more economical that ready to drink cola and knowing that it has less sugar and won&apos;t keep me up all night is an added bonus! 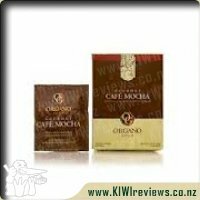 We love getting a Kiwi Review box, and opening it up - discovering what goodies have arrived for us to try this time. We opened up our box this time and found not one, but two bottles of different soda syrup by Barkers to try. It was great to receive the dry cola in particular as my husband is rediscovered his like for fizzy drink, but I am concerned about all the fakeness in some of the fizzy, and what effect the fake sweeteners and other stuff actually have on our bodies. The other added plus is that Barkers is made here in New Zealand! The bottle itself is a clear glass, but a thick and sturdy bottle - making sure it does not get damaged if it is sitting in a fridge door, which is where I put this cola syrup before even trying it. I like that I can reuse the cleaned out bottle for things too - just some ideas are a vase, to put ready made drink into it, recycle or upcycle it, and just not add more rubbish to our landfills. Barkers brand to me is synonymous with quality in both production and tasting, and great taste. I was not at all disappointed with the cola syrup, and knowing that this bottle makes 25 glasses means that my back pocket and my belly with it being low sugar thank you too Barkers! 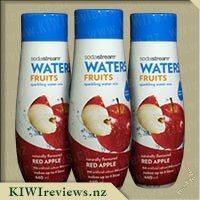 Having no soda water in the house and wanting to try this straight away, I made it up as per the instructions of 1 part syrup to 6 parts water. I got my husband to take the first taste, as I knows I do not at all like too sweet drinks. After getting his thumbs up, I had a try and was hooked - it is a great taste, not sweet and overpowering, and definitely hit the "thirst" spot! Overall, this is a really great syrup which ticks so many boxes for me - being better for me with a low sugar content, tasting like a more natural cola, good value and reusable packaging. Huge thumbs up for this Barkers - love to see other flavours too! I&apos;ve said it before and I&apos;ll say it again cola is my favourite flavour soda drink. This is a syrup style drink but it&apos;s unlike other syrup drinks I have had in the past as the viscosity is pretty thin and it isn&apos;t really gluggy. What I like the most about having it in a concentrated form is that you have the ability to mix it to taste how it best suits yourself. The drink is caffeine free which is also a great plus as I don&apos;t like to allow the kids to try regular cola but this is a great alternate plus I get my caffeine limit purely from coffee during the day. 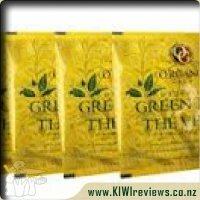 It&apos;s also low in calories, doesn&apos;t contain artificial sweeteners or preservatives and is made right here in New Zealand. I tried the dosage suggestion which is 200ml diluted 1 part syrup to 6 parts water but to me, it didn&apos;t have enough flavour punch to it so I added about 40ml more syrup and found it to be pretty close to my preferred taste. The notes of lemon and lime stand out fairly bold and actually taste very well suited to the cola. As for value for money, this is a great purchase and is defiantly worth its price for a very refreshing cola drink that uses natural ingredients. The packaging is simple and gives off a slightly retro vibe which suits it well. Overall this is a cola that quenches the thirst and tastes great. This is a great alternate cola to the other major brands if you&apos;re looking for something different or just broadening your cola experiences. I am a big fan of cola (probably more than I should be) though I generally stick with the obvious name brands simply due to cost and having low calorie, sugar-free options. 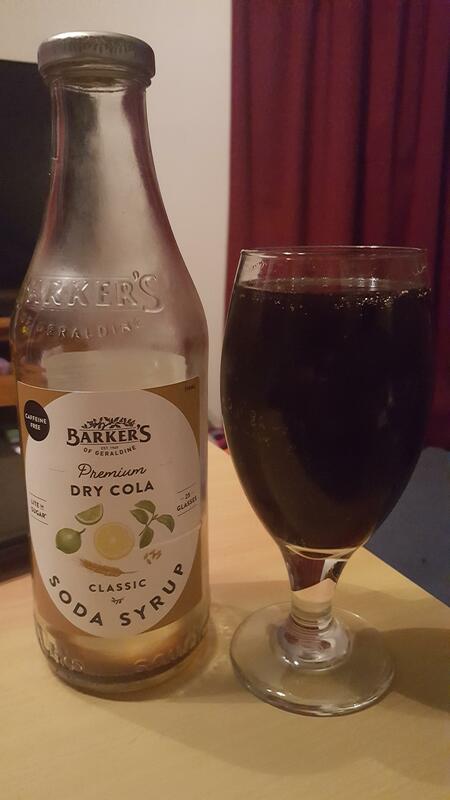 I prefer the more premium colas but generally, find them cost prohibitive so I was very keen to try to the Barker&apos;s Dry Cola when I saw it available for review. Right away, the low calorie, caffeine free and low sugar components make this very appealing. 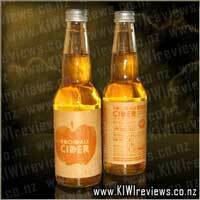 At $5.80 per bottle and even taking into account requiring soda water, this makes it appealing cost wise. Pretty much, this was ticking lots of boxes even before I&apos;d opened the bottle and made up my first glass! The recommendation is 1 part syrup to 6 parts soda water and it was to this specification that I made up the drink. It definitely had a more dry cola taste rather than the over sweet taste of other brands, I very much prefer the dry cola taste, for lack of a better word, I find it more sophisticated. I found it very refreshing and I&apos;m rather glad for the low-calorie factor! I would note that my partner, on the other hand, wasn&apos;t such a fan, he felt it didn&apos;t taste quite right. Possibly we would want to play around more with the ratio of syrup to soda water to get a more preferred taste. Overall, a big thumbs up from me, price, taste and everything else means I&apos;ll be keen to keep some in the house and if my partner doesn&apos;t like it so much, bonus! More for me! Anyone that knows me personally knows that I have a major sweet tooth, and find it especially hard to say no to juice or fizzy drinks, in particular cola. I know how bad they are with all the sugar but just don&apos;t have the willpower to stop myself from drinking them. 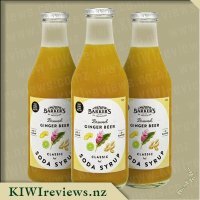 When I was browsing the items available on KIWIreviews to request I was super excited to see that Barker&apos;s of Geraldine has released a range of soda syrups, available in Premium Dry Cola, Citrus Lemonade, and Brewed Ginger Beer. I chose to request the Premium Dry Cola as I tend to drink quite a bit of cola and the bottle stated it could make 25 glasses. When I opened my review box I was thrilled to see a bottle included, I wasted no time in proceeding to make a large glass of cola. I read the directions on the back of the bottle which stated 1 part soda syrup with 6 parts soda water. I gave the drink a mix and took a large gulp, boy was it strong for me like that, so I added another part of soda water and tentatively took another gulp but found it was just right now. I savored the flavour now and it didn&apos;t leave a funny aftertaste in my mouth after I swallowed. I really like that this product is free of caffeine as I already have plenty of caffeine in my diet as it is, the fact this syrup has a natural sweetener as opposed to artificial sweeteners means less refined sugar as well. 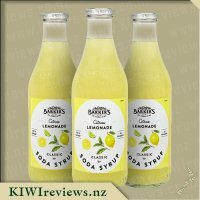 The label says that Barker&apos;s has created this premium cola by blending a dark malt with some squeezed lemons and limes. I thoroughly enjoyed this more than most of the colas I have tried in the past, when my daughter had a sneaky taste she said she thought it was nice, and not many bubbles made it easy to drink. 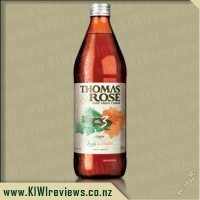 I will definitely be purchasing this product in the future as I believe it is great value for money, made in New Zealand, high quality, and tastes delicious. I look forward to trying the other flavours in the near future. I am always game to try a new cola drink so I welcomed the opportunity to review this one. I liked the look of the ingredients: natural and wholesome items (which is no more than I have come to expect from Barker&apos;s), and with less sugar than you might find in similar syrups. I was surprised when I tasted it. My friends, who tried it with me, were impressed by the flavour. It was more of a designer drink than a regular cola, with the smoothness you get from an artisan drink. We did not have access to a SodaStream but used purchased plain soda water as a mix and that worked out perfectly. Using the 6:1 proportion suggested on the label, we all tried it - as I had expected, some wanted a little more soda while two of us wanted a stronger brew. Personally, I would have preferred less sweetener in the product. I tried putting in more soda but it diluted the flavour too much. I am used to the sharper taste of diet beverages, so I don&apos;t like my drinks too sweet. However, the others did not agree: they like full strength products steeped in sugar so they were more than happy with the sweetness factor. We could all detect the lemon and lime components, and the malt aftertaste provided a welcome full-bodied flavour to the mix. Being caffeine free meant it was a good drink to have late in the day without running the risk of resulting insomnia, and it could safely be given to children who might become hyperactive if given a highly caffeinated alternative. We found it made a great mixer - we tried the diluted product mixed with ice and with orange slices floating on the top, chilled and added to brown rum (magic! 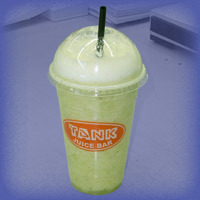 ), and served as a float with ice cream on top. It was also nice mixed with whisky, or made into a strong cordial and then frozen in individual ice block trays for a hot weather cooler. If I were choosing a summer drink, I would go for this one but would then add some lime or lemonade slices from my trees. This would reduce the sweetness without compromising the flavour. I have not yet tried it this way as I did my testing while I was away from home and did not have access to fresh citrus. But now that I am back home, I will be doing some more experimenting with new ways of trying this product. Sail away with tropical Mango Lime. You'll love this delicious Real Fruit Cider made from naturally sweet, tree-ripened apples lovingly brewed to perfection, blended with mangoes and a squeeze of lime. Fragrant mango has met its match in saucy lime. Not too naughty, but very, very nice. 100% natural.